Dealing with addiction is not that easy, and most people do not stop the habit immediately and they need assistance to recover from their habits. Wearable tech industry have come up with remedies on how to assist those who want to stop the habits that they are addicted to. This industry has come up with devices that help you to stop being an addict. Use of the devices as instructed will help you forget the addictive behaviours and adapt a normal life. The banning of smoking in public areas have made a majority of people to stop smoking. However, people still continue smoking when they are not in restricted areas. Smoking creates a habit that is not easier to break from abruptly. 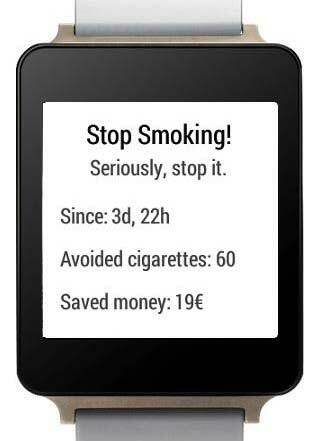 Stop smoking wearable app is specially designed to assist you in quitting smoking. It works by reminding you the number of days that you have stayed without the smoking cigarette, the number of cigarettes you would have smoked the last cigarette and now, and the amount of money saved that you would have used during that period. All these factors will hold you back whenever you are tempted to take a cigarette. On top of that, the University of Taiwan researchers has developed a smart tooth technology. This is an oral implant with the ability to detect whatever you are drinking or eating, it also has a sensor to detect whether you are smoking. Chronotherapeutics is developing a smartwatch with an ability to deliver nicotine directly into your blood stream. This will slowly supply smokers with doses of nicotine whenever they feel an urge to take a cigarette. This will be a better solution that is more effective than nicotine patches, as it can be taken away after addiction is over. Kiwi wearables have proposed to use a gyroscope inside a smartwatch. This innovative device would be able to detect any movement of a cigarette being put in the mouth and then smoking it. It would then send a feedback on the number of times and how often have you smoked. An idea has already been tabled on how to develop a smart wearable device which will help to wean cocaine and heroin users. Researchers have already started their work, on how to come up with a technologically advanced biosensor device which will be capable of tracking physiological reactions, like an increase in heart rate to assist in determining if one is taking drugs. This device will also be useful in creating accountability when the addict is being monitored by a doctor or a counselor as it will be possible to monitor the vitals and know whether you have been taking the drugs or not. Many people suffer silently on tech addiction. 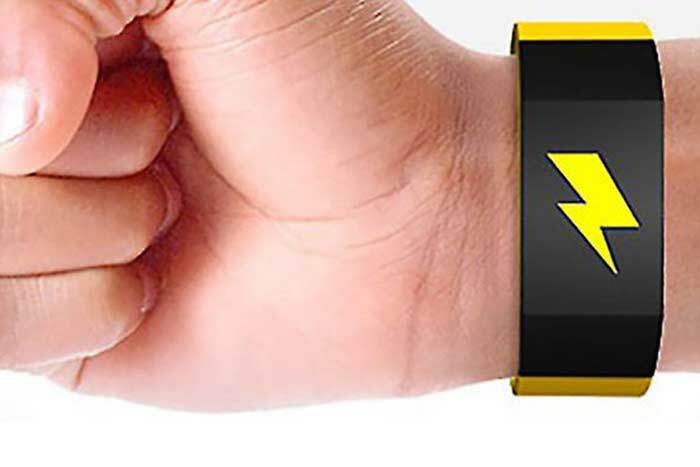 Pavlok is a new advanced wristband, specially designed to prevent you from overuse of tech and other devices like tablet and smartphone. It makes you set certain goals that will help you to change your habits. It positively influences to stay on track without being engaged to on unnecessary activities on tech. if you decide to fail the wagon and have a check on notifications for many times, there will be a penalty for you. The penalty may be an electric shock that will make you fear to operate the tech device, or a message may be displayed on your face book page for the public to see that you have spent a lot of time online. You can use the vibration of beef stimuli to alert you when you have overused tech. The electrical stimulus will be uncomfortable enough, and it is carefully designed not to electrocute you. It is similar to static shock which you get after touching a door knob immediately after rubbing the feet on the surface of the carpet. Your brain will associate the stimulus with a bad habit, and create an aversion of the behavior. This wearable will enable you to overcome a number of bad habits like hair picking, snacking, procrastinating, skin picking, lack of productivity, hitting snooze, overeating, swearing, smoking, and all work without play. This wrist bud helps you to drop a number of habits. It is tough for us to withdraw from the behaviors that we are used to. But with the help of some modified devices, it is easier to drop the habits slowly. The gadgets are made from a different company to prevent you from different behavior. Continuous use of the gadgets as instructed will help you drop the behavior that you were finding hard to stop.